How to Saute Vegetables | Learn 2 easy methods to cook any vegetable! This September, we’re going “Back to School”. 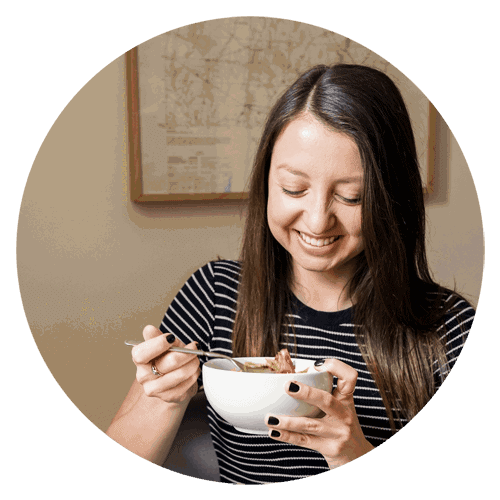 Each week, I’ll be sharing a basic technique or kitchen how-to to help you tackle healthy cooking with confidence. This week, I’m showing you how to sauté literally any vegetable. Knowing how to saute vegetables is a basic and key skill we can all benefit from mastering, amiright? 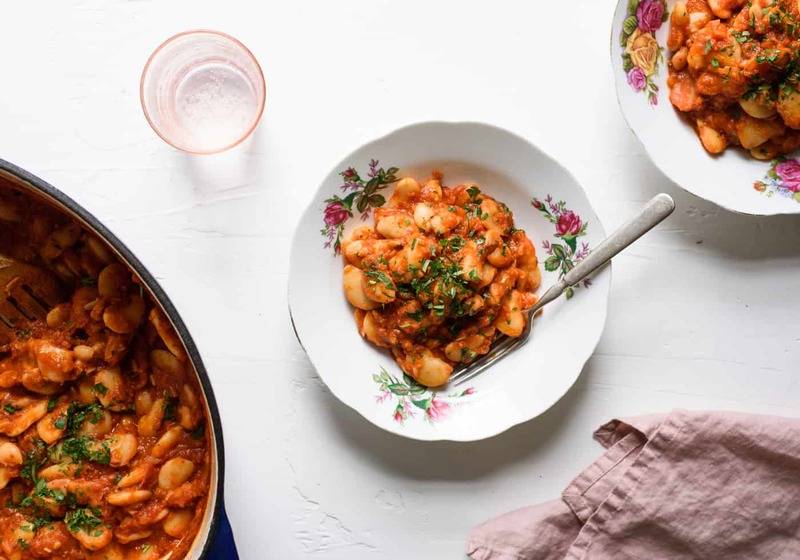 Whether you’re making stir-fry, a simple side dish, or a component of a more complicated recipe like a veggie lasagna, being able to quickly cook up any veg on the stovetop can open up a whole new world of yummy meals. Use the largest non-stick skillet you have. More skillet surface area means more of your vegetables will make direct contact with the pan and have a better chance of caramelizing (browning). Using a non-stick skillet will ensure your vegetables will slide out easily and retain their beautiful shape. If there are too many vegetables in the pan at once, they will steam and become mushy instead of browning and retaining their crunch. If you have to cook a large amount of veg at once, do it in two batches or use two skillets. Medium or medium-high heat is best. Turning up the heat allows the vegetables to lock in their moisture and caramelize quicker, which means you won’t cook them to death. Sauteed vegetables should retain their bright color and texture. Wait to salt your veggies until they’re just about done. Salt draws out moisture, so if you salt your veg in the beginning of cooking, they will steam in their own juices instead of browning. Though it may seem like constantly stirring vegetables would help them cook faster, it actually does the opposite. Leaving your vegetables untouched while they’re cooking will help them brown properly. Try to only stir your vegetables once or twice while sauteing. 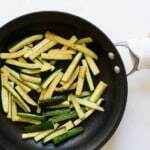 The first is for softer vegetables that cook quickly and have a higher water content, such as zucchini, bell peppers, mushrooms, fennel, or asparagus. These can simply be cooked in a bit of oil until browned. The second is for harder vegetables that typically take longer to cook, like broccoli, sweet potatoes, parsnips, etc. 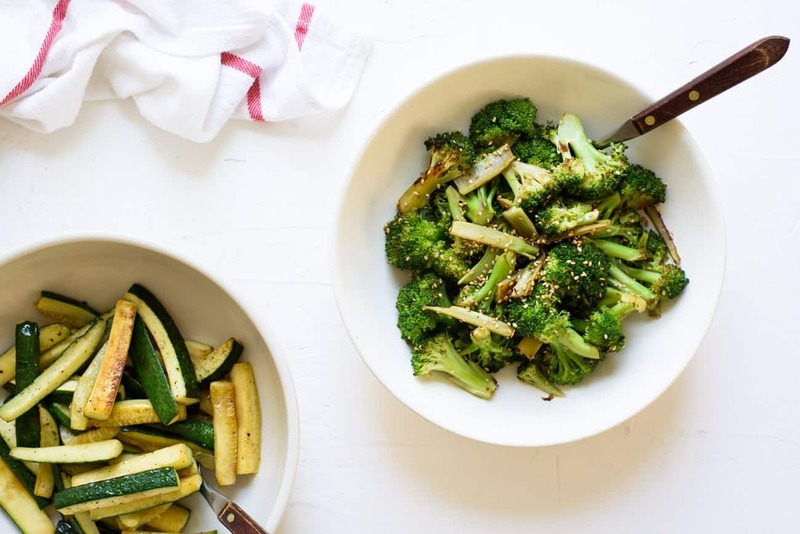 These veggies benefit from a little steaming before browning. I do this by adding a splash of water to the pan with the veggies, cover it with a lid, and let the veg steam for a few minutes. Then I open the lid, raise the heat to medium-high and evaporate any remaining water. Lastly, I add oil and proceed to caramelize the now-slightly-softened vegetables just like the first method. 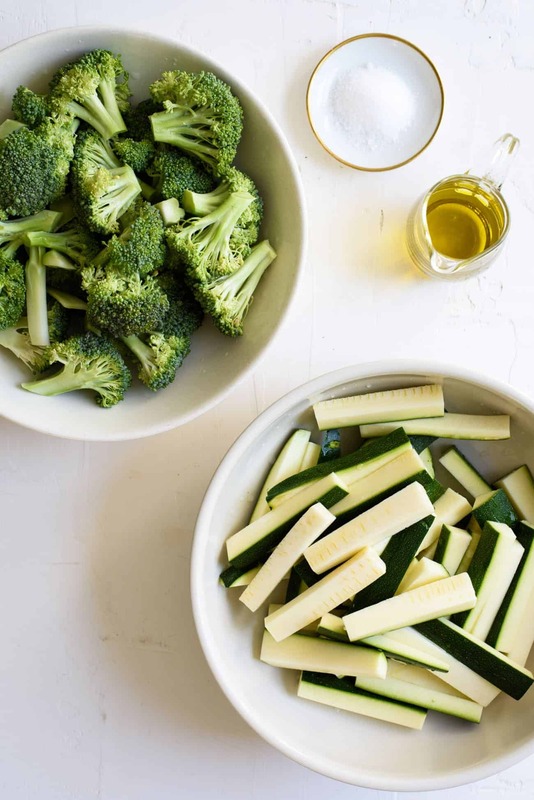 Check out the two methods in action below, featuring zucchini and broccoli. 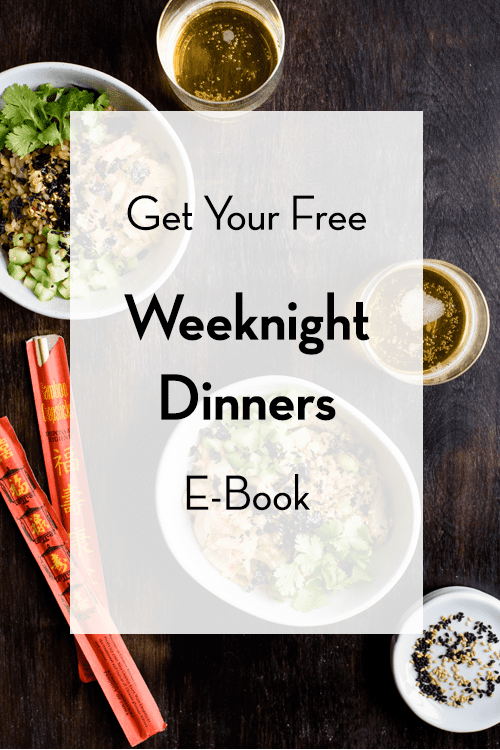 Knowing how to saute vegetables is a basic and key skill we can all benefit from mastering – whether you’re making stir-fry, a simple side dish, or a component of a more complicated recipe like a veggie lasagna. 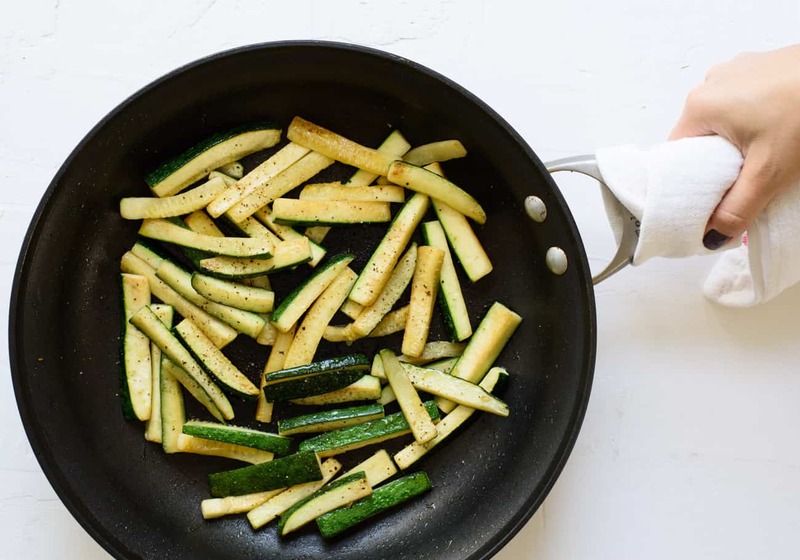 Method #1 (for softer vegetables with a higher water content, like zucchini, bell peppers, mushrooms, fennel, or asparagus): In a large non-stick skillet over a medium-high flame, heat enough oil to coat the bottom of the skillet. Add the vegetables and cook untouched until they’re lightly browned on the bottom, 2 to 3 minutes. Stir and continue cooking until the vegetables are lightly softened and browned all over, 2 to 3 minutes more. Season to taste with salt and stir in any optional flavorings of your choice. 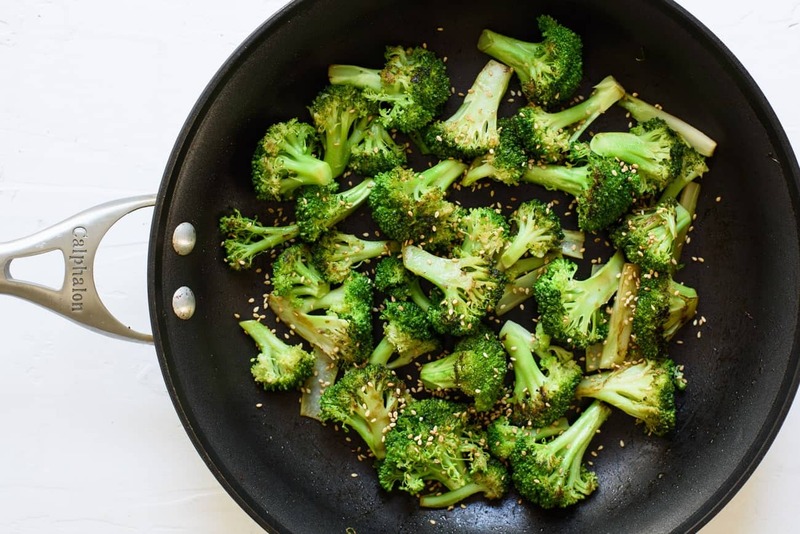 Method #2 (for harder vegetables, like broccoli, sweet potatoes, and parsnips): Place your vegetables in a large non-stick skillet and add a splash of water, about 1/4 cup. Place over medium heat, cover tightly with a lid, and steam until the vegetables are bright in color and just starting to soften, about 4 minutes. Remove the lid, raise the heat to medium-high, and allow any remaining water to evaporate. Then stir in a bit of oil and cook untouched until the vegetables are lightly browned on the bottom, 2 to 3 minutes. Stir and continue cooking until the vegetables are browned all over, 2 to 3 minutes more. Season to taste with salt and stir in any optional flavorings of your choice. 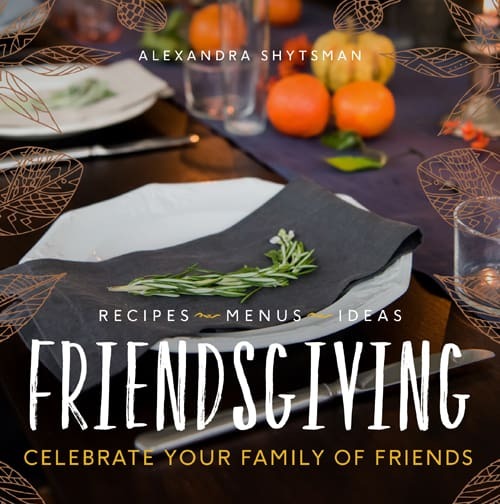 I just bought your book Friendsgiving….and I love it! Can’t wait to start trying out the recipes. Congratulations On such a well put together book! I spent the evening reading it like a great novel! 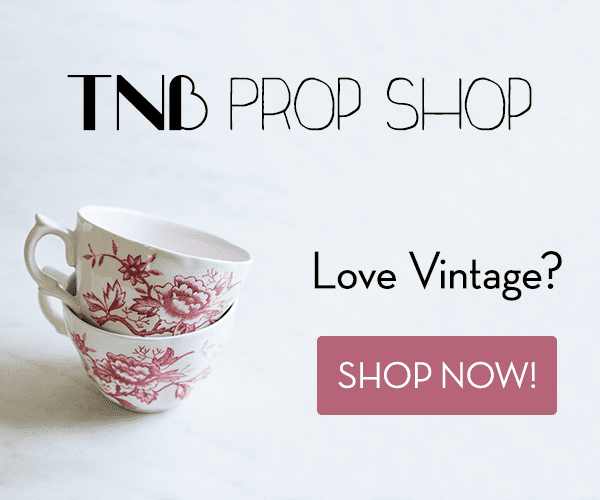 Just joined your blog as well!